U.S. News Media Group has launched Online University Directory, an online portal focused entirely on higher education and professional and continuing education opportunities. The U.S. News Media Group is a multi-platform digital publisher of news and analysis, which includes the monthly U.S. News & World Report magazine, the digital-only U.S. News Weekly magazine, USNews.com, and RankingsandReviews.com. 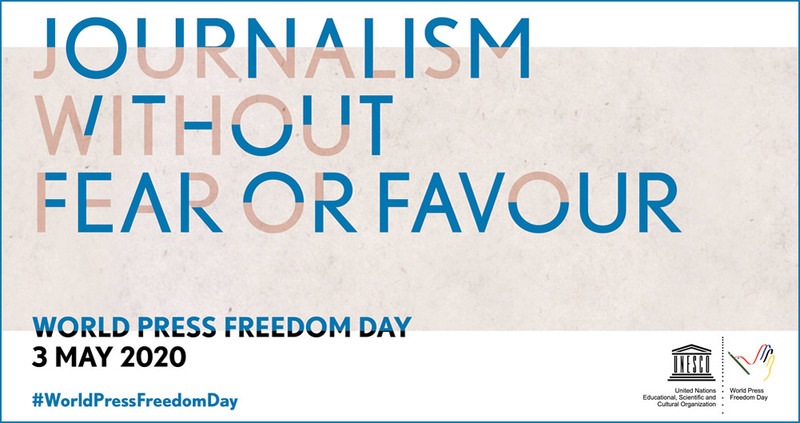 Focusing on Health, Money & Business, Education, and Public Service/Opinion, the U.S. News Media Group is a leading provider of service news and information. The U.S. News Media Group's signature franchises include its "News You Can Use(R)" brand of journalism and its "America's Best" series of consumer guides that include rankings of colleges, graduate schools, hospitals, and health plans. Complementing the U.S. News rankings, the long-preferred tool for the assessment of excellence in higher education, the University Directory helps potential college-bound students and working adults further invest in their future by serving as an online marketplace where they can directly interact with colleges and universities. The new portal (distinct from USNews.com) will provide consumers with a full range of education options, including information about both online and offline educational institutions, and will provide educational institutions with an opportunity to showcase their degree and certificate programs in a co-branded forum jointly created by U.S. News Media Group, "America's Authority on Education(R)", and Bisk Education, a facilitator of online degree and certificate programs from some of America's leading universities. The University Directory organizes schools in multiple ways including an alphabetical directory of ranked and unranked schools in various categories. "Not everyone is looking for a ranked school," said Brian Kelly, Editor of U.S. News. "While the University Directory has ranking information, it also provides a resource for many different kinds of students." The site also includes interactive features and expanded sorting abilities, and will present content about degree and certificate programs from U.S. News & World Report's vast collection of the 'News You Can Use(R)' service journalism that has justifiably made it the leading source of news and information about educational opportunities in the United States. It will also feature informative content focused on providing information to consumers who are actively looking for educational opportunities. "U.S. News & World Report is the leading resource - both in print and online - for students looking at college as well as adults searching for continuing education opportunities, and we wanted to create a website focused on these consumers and institutions," said Bill Holiber, president of U.S. News Media Group. "With Bisk Education, we found a company focused on online education with state-of-the-art technology and capabilities to create a dynamic education-focused portal. Their proven success in working with colleges and universities to bring their schools' online degree and certificate programs to students made for a natural collaboration." Holiber explained that USNews.com - the U.S. News Media Group's flagship website - will continue to feature rankings and other college and graduate school information, along with the public policy analysis, money, and health content that has distinguished it as a leading provider of information for consumers. "However, we realized that we needed to create a site with navigation and design that was focused specifically on consumers who were in the market for higher education opportunities," Holiber said. As part of the partnership, all advertising from colleges and universities at USNews.com and the University Directory will be sold by Bisk under the U.S. News brand. Bisk Education is the world's largest exclusive provider of professional education online. 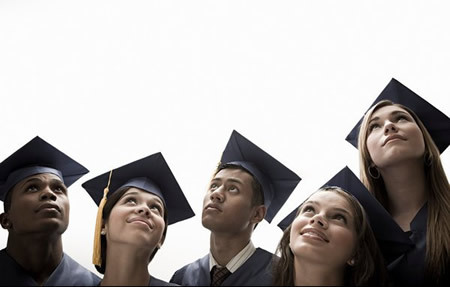 Bisk's University Alliance division facilitates the promotion and online delivery of associate's, bachelor's and master's degrees, as well as professional certificate programs from the leading traditional universities and institutions in the USA. "Higher education institutions need a credible and trustworthy marketplace in which they can showcase educational opportunities and connect with potential students that are suited to their programs," said Nathan Bisk, Founder and Chairman of Bisk Education. "For the past 15 years, we have been at the forefront of creating and executing online and distance-learning marketing and recruitment campaigns for some of the nation's leading universities. We know how to market in the digital age and we understand the need to protect the integrity of each institution's brand while helping them connect with qualified students. The new U.S. News Directory will allow educational institutions the opportunity to meet the ever increasing demand for university based education and workforce retraining that is in such demand in today's economy." "Rankings attempt to quantify the value of an education. Although the collection and publication of information about such things as location, class size and programs offered is useful to students and their parents, the statistics used in the rankings do not offer that kind of information. 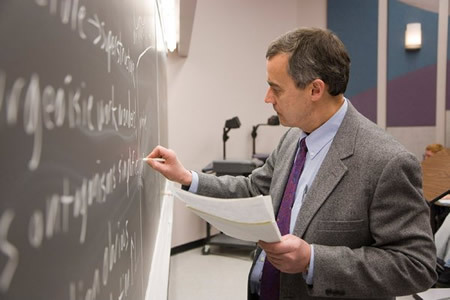 How can the interaction between faculty and students be quantified? What kind of numbers tell you about the interests students discover as they explore new ideas and participate in scholastic and extracurricular programs? Do statistics reflect the skills in thinking, writing and analysis that students develop during the course of a well-designed and cohesive program of study? The kinds of data used to rank schools in the U.S. News and World Report survey are not indications of educational excellence." -- Presidents of St. John's College, Annapolis, Maryland and St. John's College, Santa Fe, New Mexico. Benetton Playlife's summer/fall collection gets its inspiration from the simplicity of the past as well as the creativity of today, and yet it is loyal to the brand's mood and character. It is a sophisticated combination of the two, producing the environment of an American college. Everything is white, red, blue and bright green, not forgetting classic denim. Outerwear features cotton blazers, gym sweatshirts and check barracudas. They're worn with denim or canvas work trousers or with knee-length Bermudas in the same fabrics. Underneath are jersey polo shirts sewn like shirts, with vintage chambray collars; distressed plain or striped T-shirts with appliqués, badges, embroidery; knitted rugby-stripe sweaters with numbers, neckline reinforcements and vintage details. Lastly, cotton shirts with a logo on the inside cuff. Colors are bigger and brighter in summer. Purple, lime and turquoise make their appearance. Fabrics are worn-out from extreme washing or crisp and cool. Rather than long trousers, there's a preference for military-look detailed Bermudas in plain colors or patchwork checks or impeccable white, parachutist-style. 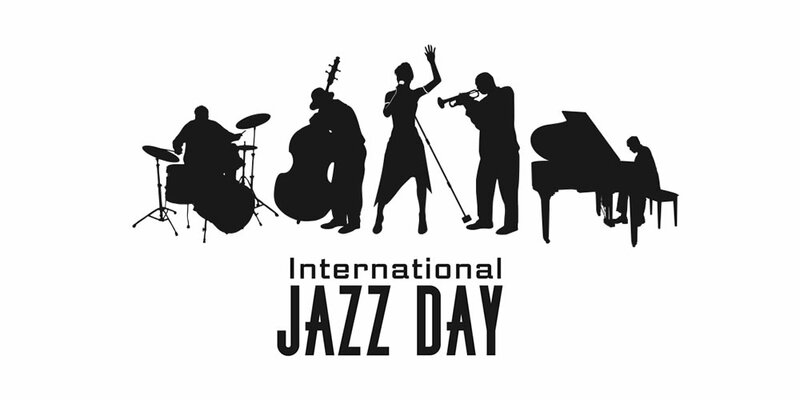 They're worn with short-sleeved piqué polo shirts; T-shirts embellished with prints or decorations; heavy-cotton loose tartan shirts paired with pastel-striped light pullovers. Lots of stripes: all-over or highlighting cuffs, edges or lapels. There's the blazer with a badge or the short, double-breasted, collarless knitted jacket with frills around the bottom or the short pinstripe jacket with floral piping. They're worn with cigarette pants, figure-hugging jeans, baggy sailor trousers featuring a halyard instead of a belt. Casual sweaters and polo shirts have gold accents and luxury details. Summerwear revels in romanticism. Here come balloon or tiered plain or tartan mini skirts with embroidered edges; long dresses with a smocked bustier; ultra-oversize chambray trousers. Sweaters, be they jersey or knitted, display crochet decorations and broderie anglaise borders; loose blouses have a dicky, a jabot and frills. As for outerwear, there's the choice of a linen safari jacket or a split-leather blouson. White, pastels and bright colors form a cool, elegant palette. Source: Benetton Group, Villa Minelli, Ponzano, Treviso, Italy. Celebrate Your National Pride in Canada and The United States With Complimentary Chocolate Chip Cookies from Doubletree Hotels. On the First and Fourth of July, two days filled with patriotic traditions in Canada and in the USA respectively, Doubletree Hotels is offering the "sweet treat" of complimentary, freshly-baked chocolate chip cookies to anyone who walks into any of its more than 200 locations on Canada Day and Independence Day USA. No purchase is necessary. Limit one fresh-baked chocolate chip cookie per person. People may simply walk into any Doubletree hotel between 12:01 a.m. and 11:59 p.m. on Wednesday, July 1 at Canadian Doubletree hotels and Saturday, July 4 at U.S. Doubletree locations to be welcomed with a "delicious, warm chocolate chip cookie" to commemorate each country's beloved holiday, while supplies last. According to Hilton Hotels, the Doubletree tradition of greeting guests at check-in with its legendary, warm chocolate chip cookie has set the standard for welcoming hotel guests. And more than 200 million of the 2 Â½ ounce cookies, which boast an average of 20 chocolate chips, have been presented to travelers during the past two decades. "Our "Free Cookies on the First and Fourth" promotion is a fun way to celebrate patriotism and satisfy chocolate cravings across Canada and the United States, without even needing to be a guest," said Mary Beth Parks, vice president of marketing for Doubletree Hotels. "We're expecting to give out thousands of cookies to our guests and our communities this Canada Day and Independence Day - certainly more likely than any bakery or cookie company will sell on these special days!" 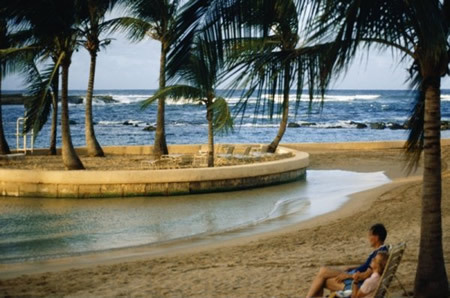 With a growing collection of contemporary, upscale accommodations in more than 200 gateway cities, metropolitan areas and vacation destinations throughout the U.S., Canada and Latin America, Doubletree Hotels, Guest Suites and Resorts aim to provide "true comfort" to today's business and leisure travelers. Doubletree is part of Hilton Hotels Corporation, a leading global hospitality company, with more than 3,300 hotels and 550,000 rooms in 77 countries. 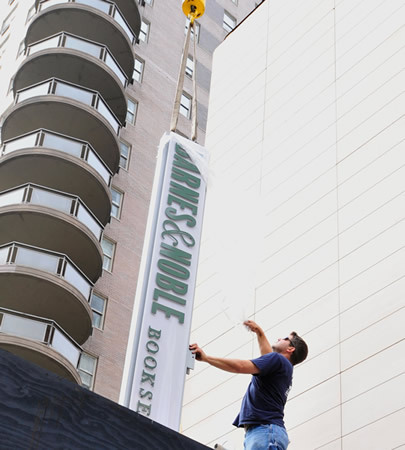 The company owns, manages or franchises some of the best known hotel brands including Hilton, Conrad Hotels & Resorts, Doubletree, Embassy Suites Hotels, Hampton Inn, Hampton Inn & Suites, Hilton Garden Inn, Hilton Grand Vacations™, Homewood Suites by Hilton, Home2 Suites by Hilton™ and The Waldorf-Astoria Collection™. "Never lend books, for no one ever returns them; the only books I have in my library are books that other folks have left me." Photo: The G8 Summit Venue in L'Aquila, Italy. Italy, which took over the Presidency of the G8 in January, is responsible for hosting and organizing the annual Summit and also the preparatory meetings ahead of the three-day summit. [The G8 is not an international organization, nor does it have an administrative headquarters with a permanent secretariat. It is rather a process that culminates in an annual Summit at which the Heads of State and Government of the member countries hold talks with a view to finding solutions of the main world issues. 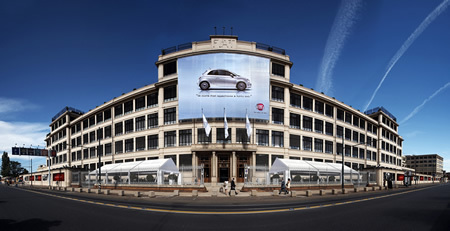 Top management of Fiat has offered the Group's sponsorship of the G8 Summit in L'Aquila, Italy, to the Italian Prime Minister, Silvio Berlusconi. Present at the meeting, held at Palazzo Chigi, were the Under Secretaries to the Prime Minister, Gianni Letta and Paolo Bonaiuti, as well as the Chairman of Fiat Group, Luca Cordero di Montezemolo, the Deputy Chairman, John Elkann, and the Chief Executive Officer, Sergio Marchionne. As a symbol of the Fiat Group's support for the G8, the Prime Minister was presented with an Executive version of the Lancia Delta, made to the exacting standards of comfort and drivability and recently chosen as the Official Car of the 9th World Summit of Nobel Peace Laureates. Concrete operational support for the Summit, which will be held on July 8, 9 & 10 at the Guardia di Finanza's Camp Coppito, will consist of an entire fleet of vehicles - consisting of 221 passenger cars, electric vehicles, off-road vehicles, commercial vehicles and buses - being made available to the Department of Civil Defense by Fiat Group for transportation of the participants at the G8 Summit. 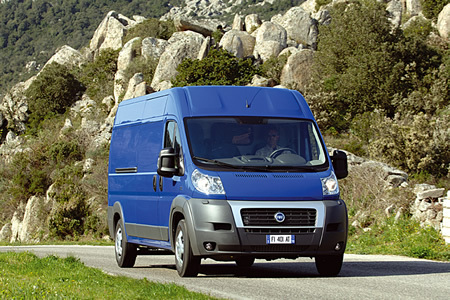 The fleet will consist of: 90 Lancia Deltas, 85 Fiat Professional light commercial vehicles, 10 Iveco Massif off-road vehicles and an array of electric vehicles, including an Iveco Daily, two Iveco Europolis buses and 33 "GEM e4" vehicles produced by Global Electric Motorcars, part of the Chrysler Group. A large part of this fleet has already been employed over the past few months at the preparatory ministerial sessions leading up to the Summit which are being held in various cities around Italy on specific topics such as labour, agriculture, the environment, economic development, justice and internal affairs, science and technology, finance and foreign affairs. With the exception of the electric vehicles, which will be used within the Camp compound, all other vehicles will be used to transfer delegates to and from airports and the L'Aquila heliport. 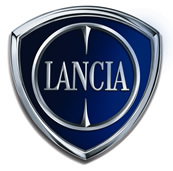 The entire fleet will be managed 24 hours a day by specialized Fiat Group personnel who will provide assistance and maintenance services, including for the armored Lancia Thesis vehicles already in use by the Italian government. 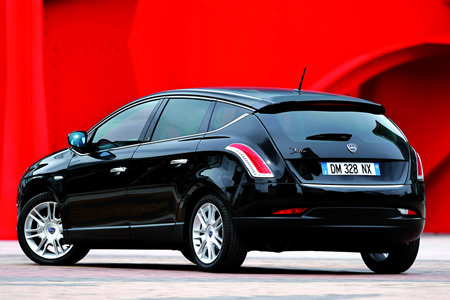 90 Lancia Deltas will be used as courtesy cars. Among these will be several models of the Executive version, designed with users such as businessmen, diplomats and government officials in mind. 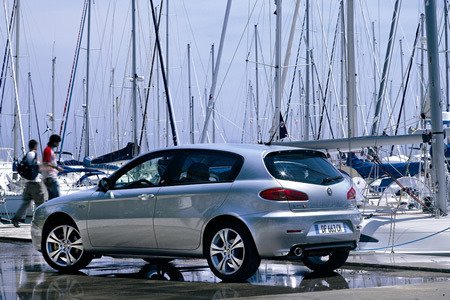 This version was also chosen at the Official Car for the 9th World Summit of Nobel Peace Laureates, held 11-13 December 2008 in Paris, of which Lancia was the main sponsor. 33 electric-powered "GEM e4" vehicles will be used inside Camp Coppito to transport Heads of State and Heads of Delegation. This zero emissions vehicle is produced by Global Electric Motorcars, part of the Chrysler Group, and has a range of 50km and can fully recharged in just 8 hours from a standard domestic 220v socket. Three other electric vehicles, an Iveco Daily for luggage transport and two Iveco Europolis buses, will also be used inside the military compound. Distributor panels equipped with electric sockets have also been provided to recharge these vehicles. 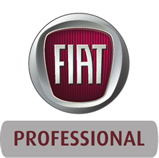 The 85 Fiat Professional vehicles include 75 Scudo Panorama, DoblÃ² Cargo and Ducato Cargo commercial vehicles and 10 natural gas Fiat Ducato Panorama 140 Natural Power vehicles, which provide high performance, reduced fuel consumption and low emissions. 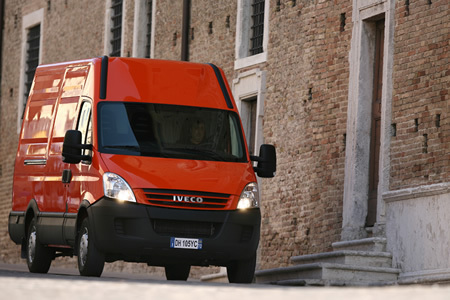 The G8 fleet is completed by 10 Iveco Massifs (5-door Station Wagon) already in use by the Civil Defense. 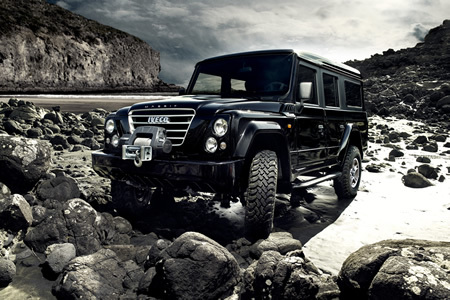 This 4x4 vehicle is capable of operating in extreme off-road conditions with gradeability at full-load of 100%. 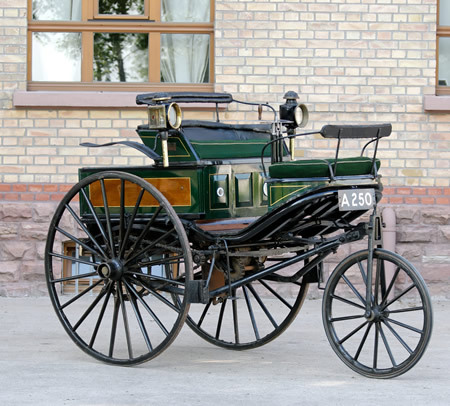 As a pioneer of the car industry, Fiat built its first car in 1899. Over 90 million cars and light commercial vehicles have been produced since then and many of its models have marked important milestones in motoring history. 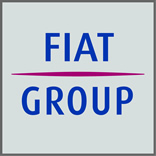 Fiat Group Automobiles (FGA) designs, produces and sells automobiles under the Fiat, Alfa Romeo, Lancia and Abarth brands, and light commercial vehicles under the Fiat Professional brand. 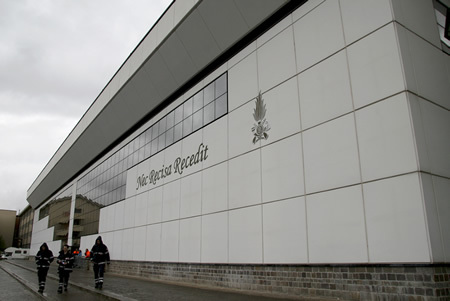 Each brand has its own unique identity and distinct commercial and marketing practices. Source: FIAT S.p.A., Turin, Italy. • Sensors are to become the sensory organs of buildings. • Siemens scientists are working to unite as many detection and measuring functions as possible on a single chip. The goal of the Siemens researchers is to develop sensors which act as the sensory organs of buildings and pass on their information to a building management system. These tiny watchmen make the management system know, for example, where aggressive substances have leaked or simply where the lights are to be switched off or the windows opened due to too high a CO2 level in the air. Today, room climate sensors, air quality sensors and presence sensors can already control the air and light conditions in offices in relation to the number of persons present. And, using optimized control technology, they thus save up to 30 percent more of the energy consumption for heating, ventilation and air conditioning than that is done by any conventional control and regulating technology. In addition to sensors for measuring light and temperature as well as for the detection of different gases, the scientists are currently developing cell sensors which are to be used as an early warning system for contaminated water or bad air. The cells of these "living" sensors react to deviations by changing their metabolism which can be measured. They live in a nutrient on a silicon chip. 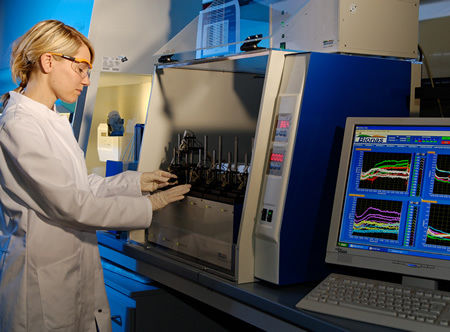 The chip evaluates the data and sends them to a master process control system. 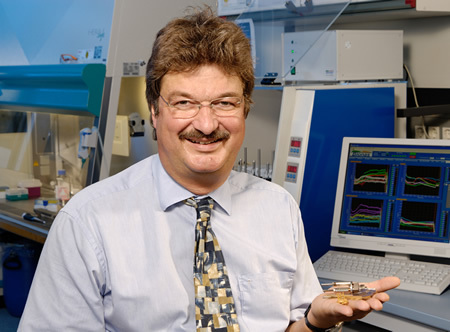 The advantage over chemical sensors: Living cells react to all toxins. This patented electronics system of the Siemens researchers is currently being tested in the field by a vehicle manufacturer. Source: Siemens AG, Munich, Germany. U.S. pilot phase is slated for start in fall 2009 with fleet of 200 smart fortwo vehicles as internal pilot for specific users. Photo: smart fortwo passion coupe rally red with black "tridion". Photo: smart fortwo passion coupe blue metallic with silver "tridion". 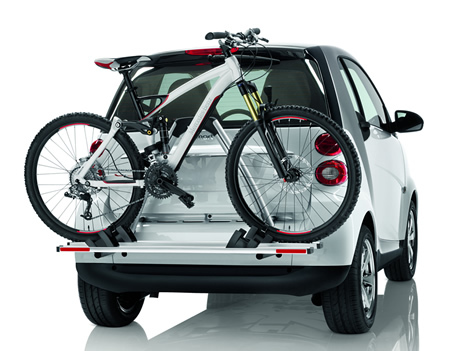 Photo: smart fortwo passion coupe with rear bike rack. To celebrate the one-year anniversary of the vehicle in the United States, smart USA Distributor LLC, a subsidiary of Penske Automotive Group, Inc., is planting a tree in recognition of each of the smart fortwos sold in 2008. In partnership with American Forests and Daimler Financial Services, smart USA will plant trees in the Cache River State Natural Area, located in southern Illinois, about 150 miles southeast of St. Louis, Missouri. smart USA plans to continue this initiative for every vehicle sold in 2009. 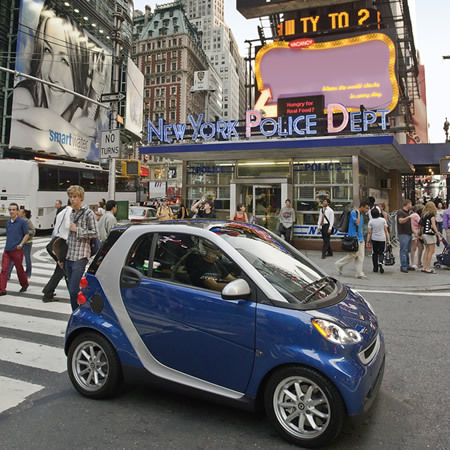 Earlier, smart USA Distributor LLC announced an agreement with Central Parking System, Inc. in New York City, which offers half-price parking for smart fortwo owners in Manhattan. With this latest partnership, four New York City companies are now offering discounted parking for smart fortwo owners -- Central Parking; Meyers Parking and Icon Parking Systems facilities in Manhattan; and AviStar Airport Parking, which has lots at both JFK and LaGuardia Airports. Central Parking System, Inc. has more than 350 parking lots and garages in Manhattan, Brooklyn, Bronx, Queens and New Jersey, and is the largest parking company in the area. Meanwhile, Daimler AG announced in Ulm, Germany, that it will bring its innovative car2go mobility concept to the U.S. by fall of this year. The first international pilot will start in the Texas capital Austin with an initial fleet of about 200 fuel-efficient smart fortwo cars. 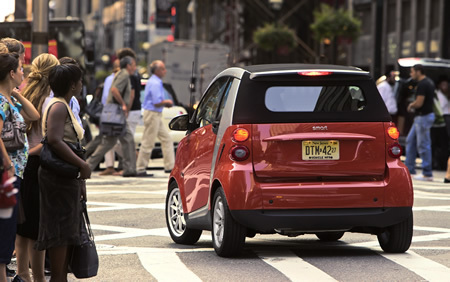 car2go provides a simple, flexible, and cost-effective solution for city driving. The car2go concept is based on a fleet of smart fortwo vehicles that are available for rent to registered members at any time, 24/7. "The results of the first, internal pilot phase in Ulm demonstrate that, with car2go, we have found an additional answer to current and future mobility needs in urban areas - our project in Austin is the next logical step," comments Thomas Weber, Member of the Board of Management of Daimler AG responsible for Group Research and for Development of Mercedes-Benz Cars. Contrary to traditional car-sharing programs, car2go offers the freedom to get in a car and drive at any time of day without reserving a car in advance. The vehicle can then be used for as long as required and returned to any available parking location within the defined area of operation - a mobility solution offering maximum flexibility. "We are delighted to be chosen as the first international partner for car2go," says Austin Mayor Will Wynn. "Our city is well-known for its commitment to environmental issues and car2go is a perfect fit because it enables us to offer the citizens of Austin an intelligent mobility concept with an extremely positive environmental angle. The project has my full support." Photo: car2go in Austin, Texas (Texas State Capitol in the background). The goal of the Austin pilot project is to gather practical experience toward the international implementation of car2go. Initial challenges include its transferability to other cities, languages and mobility trends, as well as the adaptation of its business processes to the legal frameworks that exist in different countries. "We made a very conscious decision to go to a North American city," adds Jérome Guillen, Director of Daimler's Business Innovation Department, where car2go was developed. "The car-sharing market in the U.S. is enjoying the highest growth rate in the world, which is why we feel that this is also a very good opportunity for car2go." "Reducing congestion, lowering emissions and providing innovative transit solutions are vital to Austin's commitment to becoming the best managed city in America," said City Manager Marc Ott. "I am proud of Austin's commitment to identifying and implementing progressive solutions to the challenges of urban mobility and environmental sustainability. This car-share program provides one more option to address some of our urban transportation challenges." Photo: Austin, Texas, USA, Central Business District at night. The capital of Texas with its 750,000 residents is distinguished by its open-mindedness and its very involved citizens. 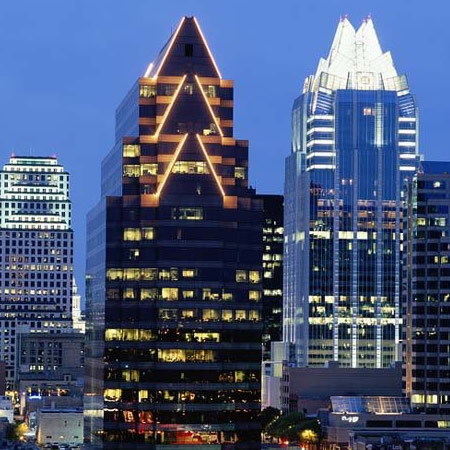 The positive attitude of the City administration, size and structure of the city, which boasts a progressive economic environment and is also home to one of the largest universities in the U.S., were important factors that led to the selection of Austin as the first international car2go city. 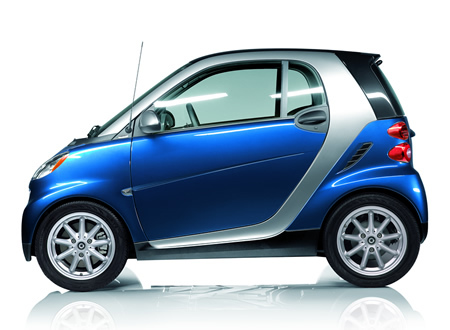 The smart fortwo will take to the streets here in fall of 2009. 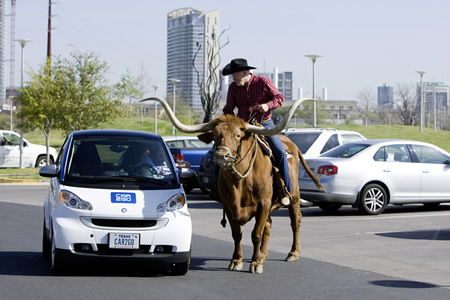 In Austin car2go will start, like in Germany, as an internal pilot for specific users, e.g. employees for the city of Austin. But it will be extended to the public, if successful. The car2go project in Austin includes not only the vehicles, but also the associated personnel and technical infrastructure. Support from the City of Austin is integral to the success of this pilot program. This is an opportunity to establish a true public-private partnership to work together to ensure the city is a showcase for urban mobility solutions. As Daimler further explains, the innovative car2go mobility concept was designed to foster individual urban mobility while using environmentally-friendly vehicles. Members can access a car2go from any location within a defined city area at any time of day or night. Following the one-time registration, the car2go customer will receive a membership card that will unlock the vehicle. Customers will be able to use the car2go vehicle in a number of different ways. Available vehicles can be rented on the spur of a moment: to access the vehicle, the car2go member simply holds his membership card to the reading device located in the windscreen, climbs into the car, enters his PIN code and drives off. Vehicles can also be located quickly and easily via the internet or through the car2go service hotline. The system also allows members to make reservations up to 24 hours in advance, with customers being notified via text message about the location of the reserved vehicle. The car2go rental period can be as long as desired and the vehicle remains reserved for the customer during stop-offs. When the customer wishes to return his car2go, he simply leaves the vehicle in a parking spot within the defined car2go city area. Any space not subject to parking fees or restrictions may be used - such as those along the side of the road or within designated parking areas. Furthermore, specially marked car2go parking spaces will be available at special locations such as train stations. A car2go service team on the ground will handle daily maintenance of the vehicles. Billing is handled with the same degree of simplicity and flexibility as for every aspect of car2go - with rates by the minute, by the hour, or by the day. Pricing is all-inclusive: taxes, insurance, miles and gas. 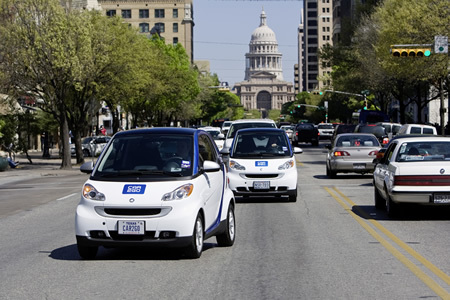 The first phase of the German pilot project car2go will begin in Austin with a defined group of users (city employees, for example). It is then planned to make car2go accessible to the public in Austin in the second step. • Americans are faced with volatile fuel prices, increased urban congestion and a mindset of environmental responsibility. 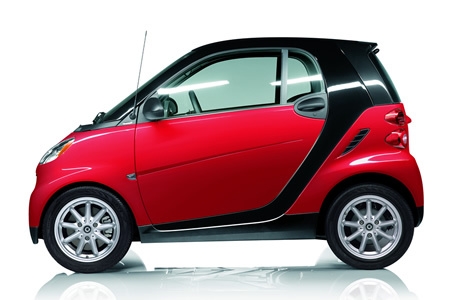 The smart fortwo offers a high level of comfort, agility, safety and ecology. Despite its compact dimensions, the smart fortwo offers the driver and passenger remarkable freedom of movement equal to or greater than some larger cars. This vehicle concept is highly practical - especially for people who live in cities or urban areas. Many Americans drive with just a single occupant. The size of the smart fortwo allows for faster movements in cities and one does not need to search for a large parking space. Source: Daimler AG, Stuttgart, Germany. The highly anticipated Nokia N97, Nokia's flagship mobile computer, will begin selling in June in more than 75 countries. This was announced by NOKIA at its headquarters in FINLAND. 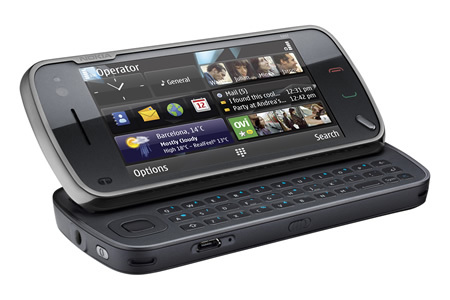 Along with a tilting 3.5" touch display, QWERTY keyboard and a fully customizable home screen, the Nokia N97 will offer instant access to the full range of Ovi services. "The Nokia N97 is an important step towards our vision of delivering a highly personalized Internet experience," said Jonas Geust, Vice President and head of Nokia Nseries. "Fuelled by a multitude of music, maps, games, media and applications via Ovi, the Nokia N97 transforms the Internet into an experience that's completely tailored to the tastes and interests of its owner." 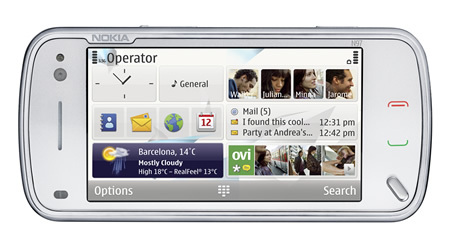 The Nokia N97 is Nokia's first device to feature a personalizable home screen, which can be customized with a range of widgets which bring live information directly to the device. These widgets include key social networking destinations like Facebook and Hi5, news services like the Associated Press, Bloomberg and Reuters, as well as shopping and weather information. 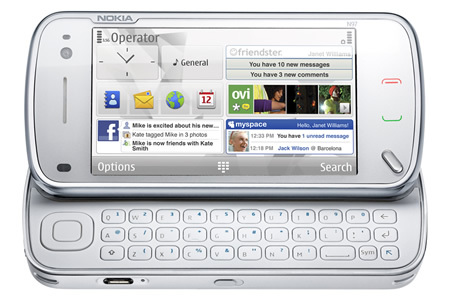 The Nokia N97 is the first device to ship with the Ovi Store, which offers easy access to applications, games, videos, podcasts, productivity tools, web and location-based services, and much more. Ovi Store has paid and free content from a range of global and local content providers and developers, including Paramount Pictures, Facebook and Qik, as well as a selection of Twitter applications. As with any computer, people can constantly improve and refresh their Nokia N97 with new features, functions and fixes so they can do even more with the device. An exciting roadmap of new features and functions is planned to roll out in the second half of 2009. 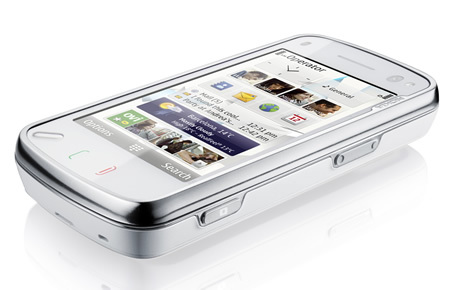 The Nokia N97 also has direct access to the huge catalogue of music in the Nokia Music Store. With multiple high-speed connectivity options and 32GB of storage (up to 48GB using a microSD card) it is possible to directly download and store tens of thousands of songs on the handset. And you can listen to your favourite music on the Nokia Bluetooth Stereo Headset BH-905, which Nokia also launched today. This headset brings crystal clear sound, eliminates background noise, and is the ideal accessory for listening to music and making calls on the Nokia N97, as well as being compatible with a diverse range of other mobile and music devices. High-quality images and video clips at 30 frames per second (fps) can be captured using the 5 megapixel camera with integrated Carl Zeiss optics. Images can also be geo-tagged to specific locations and shared instantly with friends or uploaded online via Ovi Share, Twitter or Flickr. Apple today introduced the new iPhone™ 3G S, which, according to it, (1) is the fastest, most powerful iPhone yet, (2) is packed with incredible new features including improved speed and performance--up to twice as fast as iPhone 3G--with longer battery life, (3) has a high-quality 3 megapixel autofocus camera, and has (4) easy to use video recording and hands free voice control. iPhone 3G S includes the new iPhone OS 3.0, an advanced mobile operating system with over 100 new features such as Cut, Copy and Paste, Spotlight Search, and landscape keyboard. "iPhone 3G S is the fastest, most powerful iPhone yet and we think people will love the incredible new features including autofocus camera, video recording and the freedom of voice control," said Philip Schiller, Apple's senior vice president of WorldWide Product Marketing. iPhone 3G S offers speed and performance that is up to twice as fast as iPhone 3G. iPhone 3G S features a new 3 megapixel autofocus camera that adjusts focus, exposure, color and contrast for the best possible image and includes an automatic macro focus for extra close up shots. With the new "tap to focus" feature, you simply touch the display to select an object or area of interest and the camera automatically re-adjusts focus and exposure. You can record high-quality video clips and edit them right on your iPhone 3G S by simply trimming the start and stop points. 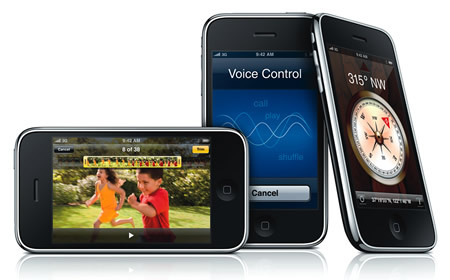 The voice control feature in iPhone 3G S offers hands free operation for both iPhone and iPod functions. Simply speak the appropriate commands into the built-in microphone or headset microphone to dial by name or number. With voice control you can play your favorite music by artist, album or playlist and activate the Genius feature by saying "play more songs like this." You can also tell iPhone to pause the music, play the next track, turn on shuffle or ask, "What's playing right now?" iPhone 3G S features a new built-in digital compass for instant navigation. The new built-in digital compass is also integrated within Maps, so it automatically orients any map to the direction you are facing. 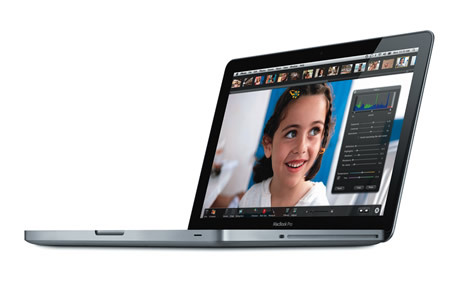 • Apple Updates MacBook Pro Family with New Models & Innovative Built-in Battery for Up to 40 Percent Longer Battery Life. Apple today updated the aluminum unibody MacBook Pro line to include 13-inch, 15-inch and 17-inch models featuring Apple's innovative built-in battery for up to 40 percent longer battery life. Each MacBook Pro includes an LED-backlit display with greater color intensity, the innovative glass Multi-Touch™ trackpad, an illuminated keyboard, an SD card or ExpressCard slot, a FireWire 800 port and state of the art NVIDIA graphics. "Across the line, all of our new MacBook Pro models now include Apple's innovative built-in battery for up to seven hours of battery life, while staying just as thin and light as before," said Philip Schiller, Apple's senior vice president of Worldwide Product Marketing. The new 13-inch and 15-inch MacBook Pro models include Apple's built-in notebook battery for up to seven hours of wireless productivity on a single charge without adding thickness, weight or cost. Using Adaptive Charging and advanced chemistry first introduced with the 17-inch MacBook Pro earlier this year, the built-in battery delivers up to 1,000 recharges before it reaches 80 percent of its original capacity--nearly three times the lifespan of conventional batteries. The longer battery lifespan equals fewer depleted batteries and less waste. • Apple Unveils Mac OS X Snow Leopard. 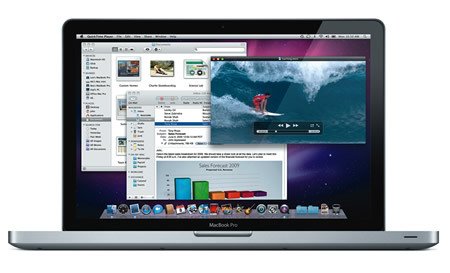 • Apple today unveiled Mac OS X Snow Leopard™ a powerful and refined advanced operating system. "We've built on the success of Leopard and created an even better experience for our users from installation to shutdown," said Bertrand Serlet, Apple's senior vice president of Software Engineering. "Apple engineers have made hundreds of improvements so with Snow Leopard your system is going to feel faster, more responsive and even more reliable than before." 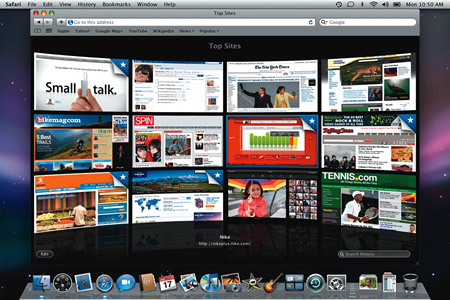 • Apple Releases Safari 4--Fast & Innovative Browser. 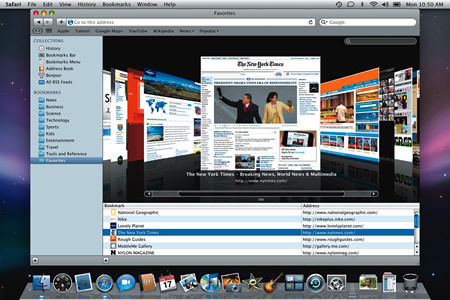 Safari 4 includes Top Sites, for a visual preview of frequently visited and favorite pages; Full History Search, to search through titles, web addresses and the complete text of recently viewed pages; and Cover Flow, to easily flip through web history or bookmarks. 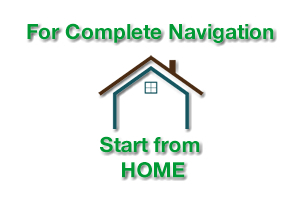 Other innovative features include Smart Address Fields for automatically completing web addresses from an easy to read list of suggestions; Search Fields, to fine tune searches with recommendations from Google Suggest or a list of recent searches; and Full Page Zoom, for a closer look at any website without degrading the quality of the site's layout and text. "The future success of General Motors and Chrysler ultimately depends on whether they can profitably design and build cars that Americans and other consumers actually want to buy. Our biggest concern with the restructuring plan announced today is the potential for governments and unions to influence production, product, workforce, and management decisions in ways that could jeopardize the automakers' chances for survival, put politics and special interests above sound business strategy, and disrupt our nation's trading relationships across the world. For example, the UAW has said that it pressured GM to change where the company plans to produce a new line of smaller cars. And as part of the GM restructuring, the administration has reportedly closed the U.S. market to Opel and blocked Opel's forays into China so it could not compete with GM -- clear examples of market manipulation and protectionism. If members of Congress, along with government officials from the United States to Germany to Canada, are allowed undue influence over management's decisions, then you can write this down: These companies will not return to profitability and their survival will be seriously challenged. 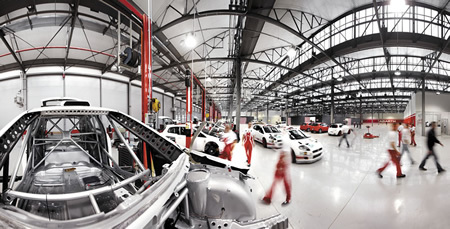 The global talent that exists in the automotive sector must be allowed to do its job and be paid on a competitive basis. Management must be permitted to make tough decisions in a competitive global market without political interference. So going forward, the U.S. Chamber will carefully monitor the activities of the new GM and Chrysler boards, and we will expose and fight any counterproductive influence by government, unions, or politicians over decisions that should be left to management. And we will continually insist that government reduce and eliminate its ownership stake as soon as possible." U.S.A. is among the most impacted nations worldwide. 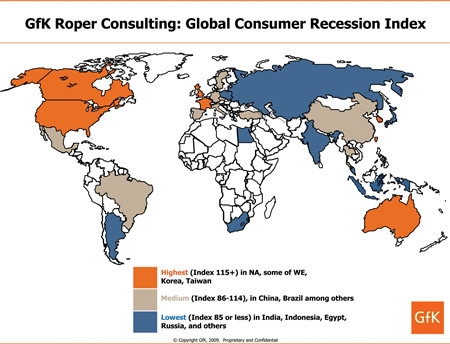 GfK Roper Consulting, a division of GfK Custom Research North America, today announced highlights from its first Global Consumer Recession Index, ranking the impact of the economic climate on individuals worldwide based on their level of concern, distress and reaction. Segmenting the countries by high, medium and low impact, the Index reveals consumers in U.S., Taiwan, Canada, Korea, the UK, France and Australia are feeling most affected. Comparatively, India, Japan, Russia, Argentina, South Africa and Argentina all landed low on the impact scale. "What's clear is that the global recession is not equally distributed," explains Nick Chiarelli, Director of Consumer Trends, GfK Roper Consulting. "To truly understand the impact of today's economic environment, it's vital to view this not as one blanket fiscal storm but rather as a series of localized recessions." • Concern - Respondents list their top-three worries from a selection of 21 economic, social and political issues. "Recession" ranked as the top concern globally. Regarding the highest levels of economic concern, Asian consumers topped the list while the U.S. landed in 15th place just behind its northern neighbor Canada (14th). • Distress - Consumers indicate which positive and negative financial-related events they've experienced from a list of eight. Globally, 62% say they faced a negative event (e.g. losing their job or having difficulty paying their bills) in the past 12 months and the U.S. clocked in higher at 77% with Canada not far behind at 72%. Americans are also among the most distressed, following only Turkey. 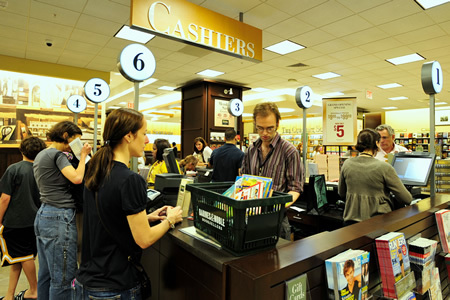 • Reaction - Participants report where they've cut back from a list of 26 items and activities as well as which of 10 money-saving strategies they've employed. Consumers in English-speaking nations such as the U.S., Australia, Canada and the UK are the most likely to be doing things to cut back and save money. 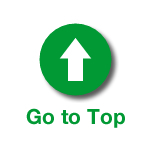 Worldwide, the top cutback area is "dining out", whereas "shopping more carefully for everyday items" is the top-ranked money-saving strategy. Among Americans and Canadians, "dining out" also ranked first in cutbacks while the number one strategy for saving cash is using coupons. 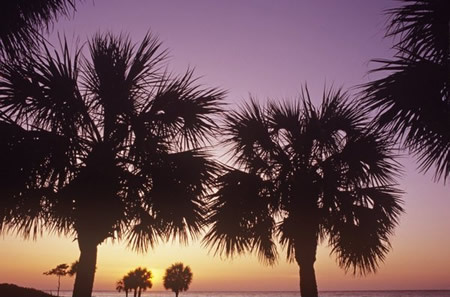 "Localized marketing efforts are absolutely essential in this environment of cautious spending. Companies will benefit most by tailoring their strategies to address the concerns driving consumer behavior as they vary across several regions. ", concludes GfK's Nick Chiarelli.